E.H. Henderson’s death was front page news around Australia. Mr. Henderson designed nearly all Commonwealth Government buildings erected in recent years, as well as many Commonwealth Bank branch buildings throughout Australia. He also designed the extensions recently made to the head office of the Commonwealth Bank, on the corner of Martin Place and Pitt Street. In 1936 he touted Great Britain, Germany, and the United States with officials of the Australian Broadcasting Commission to study the latest developments in the design of wireless broadcasting stations and tendencies in architecture generally. He had recently been working on a design for the new headquarters of the Australian Broadcasting Commission in Sydney. His versatility was shown in a number of residences built to his design in Canberra for the Federal Government. Outstanding examples of his work there were the National Library and the Canberra High School. Mi. Henderson was born at Gateshead-on Tyne, England, and received his early training as an architect at Newcastle-on-Tyne He came to Australia when a young man more than 30 years ago and after practising privately for several years in Sydney he joined the Department of the Interior. He is survived by Mrs Henderson and one child. Mr B J Waterhouse a former president of the Institute of Architects last night paid a tribute to the work of Mr Henderson. “I regard the unfortunate passing of Mr Henderson as a very great loss to the architectural profession throughout Australia” he said. “After he took up his duties as Commonwealth Architect there was a very marked improvement in the standard of the designs of public buildings. The whole architectural profession will deplore his loss He was held in very great respect by all members”. The lion secretary of the Institute Colonel J H Hurst said that Mr Henderson s death had deprived the Commonwealth of a highly respected and capable servant. “He occupied a very high place in the esteem of fellow members of his profession,” he said. “The designs which he carried out for public buildings were of a very high standard”. “I have lost a dear friend and the Commonwealth has lost a wonderful designing architect who was a man with tremendous ability and the highest principles,” said Mr Mehaffey. Mr Hoy said that Mr Henderson was an excellent officer whose ability had attracted international attention. The Canberra Times, Tuesday, 13 June 1939. The body of Mr Edwin Hubert Henderson, 53, chief Commonwealth architect, was found hanging from the roof in a garage at his home, Torres street, Red Hill, shortly after 6.30 yesterday evening. 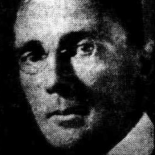 When the body was discovered by his wife, Henderson had been dead about two hours. The police found a piece of rope, part of a new hank, in the dead man’s pocket, the remainder having been looped over a rafter in the garage. The body was taken by the police to the Canberra hospital morgue. According to the police, Mr Henderson had been depressed for some time. The late Mr Henderson was a man of extraordinary talent. Mr C A Hoy, Assistant Director of Works, said last night that he first met Mr Henderson when he went to Sydney in 1918, as a supervisor. Mr Henderson left Sydney to come to Canberra as principal supervising architect, gradually working his way up until he became chief architect. In that capacity he was responsible for the designing of many public buildings. Preparatory to designing the Commonwealth Bank at Sydney, Mr Henderson made a special trip overseas to study bank architecture, and a couple of years ago he went to Great Britain to study broadcasting building; at the time of his death he was working on a design for a building for the Australian Broadcasting Commission. A number of Canberra buildings that he designed included the high school at Ainslie, the high school at Acton (Canberra High School) and the National Library. The Director of Commonwealth Works (Mr M W Mehaffey) stated last night that he had lost a very dear friend, and the Commonwealth a wonderful officer. This entry was posted on July 4, 2015 by midcenturymatters in Death, Works.